We've been working as a team for 80 years and have always been available to get you the answers you need. Our warehouse is filled with healthy inventory levels for complete and on time deliveries. 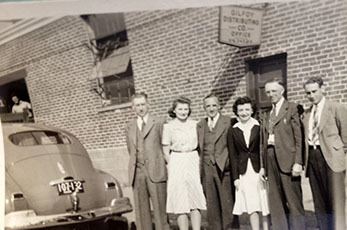 Since 1935, Gilfoy Distributing has provided a dedicated fleet to service our customers with reliable deliveries. 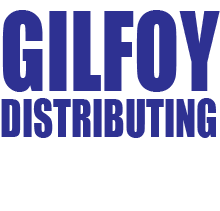 Gilfoy Distributing is dedicated to the independent building material retailer. We operate our own fleet of trucks to service customers throughout New England. Our top quality, brand name products allow the independent dealer to compete with both quality and value. Our knowledgeable sales force has the experience and know how to solve your problems and answer your questions properly. As a partner we aim to contribute to the growth of your company by providing the service, products, and education to thrive. Dimensions Charcoal colored lattice is now available and in stock. The privacy (1-1/8") diamond and garden (2-3/4"). This new color allows us to offer our customers a black color that the market has been demanding for the last few years. Make sure you have the newest sample ring to reflect the current color offering. This will go perfect with a Fortress railing! Fortress Iron Railing now has cable railing! The 1st vertical railing panel system in the industry. Constructed of 316 Marine Grade stainless steel cable this system will save you time and money. Visit www.fortressrailing.com for more details.